Living or vacationing on the Island of Venice is paradise! ... especially in the winter! 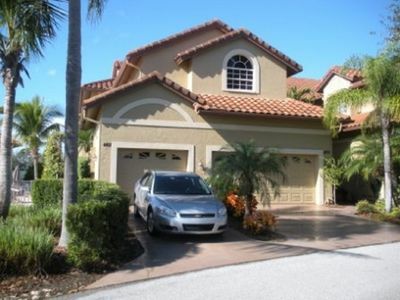 This is an executive rental - available for short term vacation rental or long term annual lease. 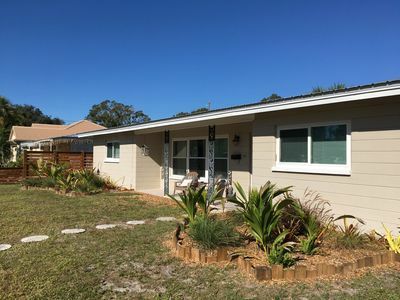 You can stay on the island in this affordable, updated island home. 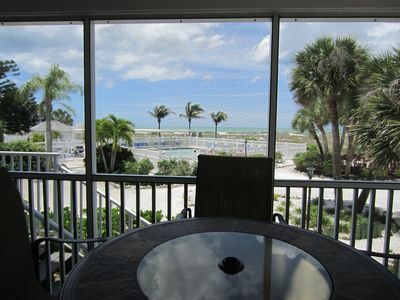 Just a walk or bike ride to the beach, it has the best location for enjoying sunset on the beach or strolling through Venice's historic downtown area with its many seasonal activities and great restaurants, shopping, art galleries and theater. 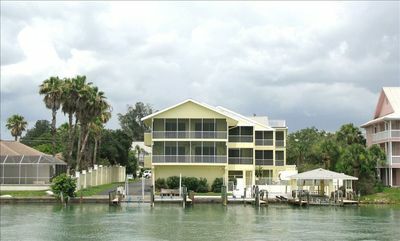 Make Venice your beach and relaxation get-away! 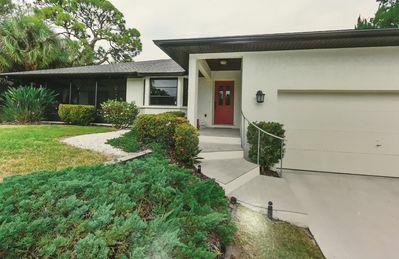 ATTENTION GOLFERS and PILOTS, this island home is walking distance to both - the Lake Venice Golf Club and the Venice Municipal Airport. Sharky's on the Beach is the island's hot spot and restaurant for prime sunset views. 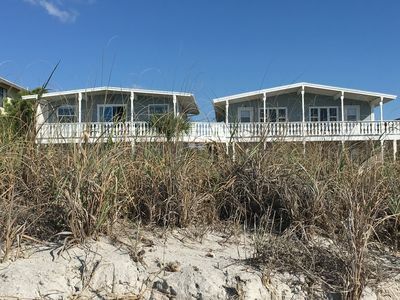 It's located right on the beach with live music and a great fishing pier. Sharky's has a laid back island vibe and cuisine while their sister restaurant Fins offers a modern seafood, steak and sushi menu with great beach views from the second floor porch. 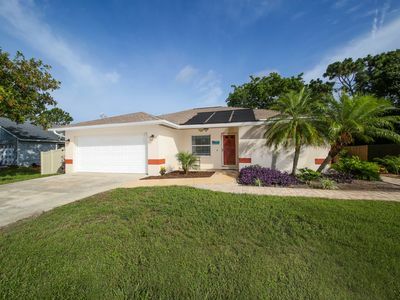 This island home features 3 bedrooms (2 kings/1 queen), 2 full baths, custom closets, a fully-equipped kitchen with real wood cabinets, breakfast counter and terrazzo floor throughout. 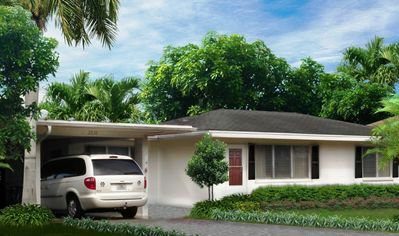 A cozy "Florida Room" is part of the home and faces the large backyard. The patio is open air and furnished for entertaining or reading your favorite book. 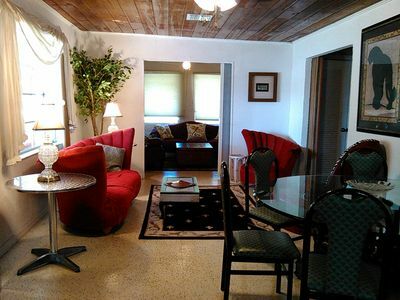 Other features include 60" flat screen TV, stereo system, wi-fi, and cable. Utilities included. 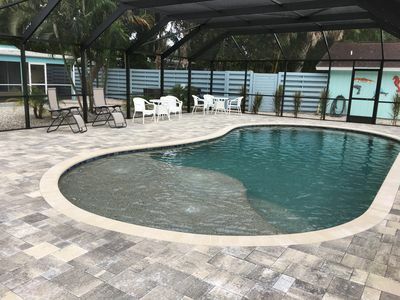 Enjoy a very spacious and private back yard with your very own fire pit for night time marshmallow roasting and wine drinking. Feel safe that your bikes and beach equipment are secure in the backyard, locked shed. (The island is extremely safe and crime-free). 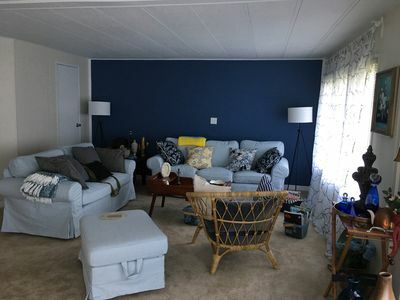 Other perks include a spacious, open plan concept living room, dining room, eat-in kitchen, with a useful counter with three seats that can be part of the kitchen activities. Good work/entertaining space. The home contains its washer and dryer in a separate laundry room. Parking available off street in driveway. 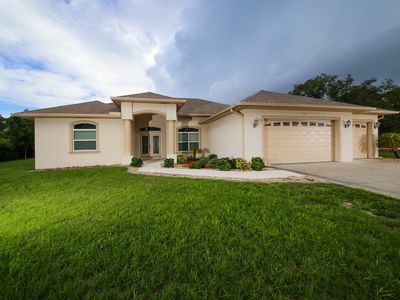 The property is completely fenced in for added security and privacy. 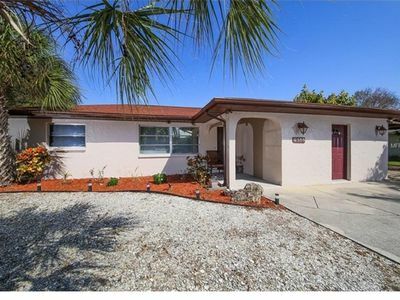 This central location has easy access to I-75, Sarasota's UTC Mall and great downtown area. 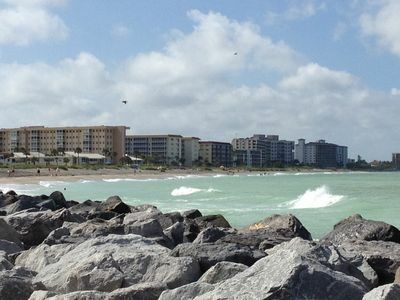 Often referred to as "The Culture Coast," both Venice and Sarasota have an all-star cast of opera, symphonies, theaters, galleries, and museums. 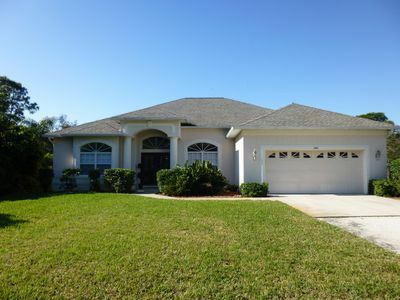 Nearby airports include SRQ, VNC, PGD, PIE & TPA. Fort Myers is an hour to the south and Tampa is an hour to the North. 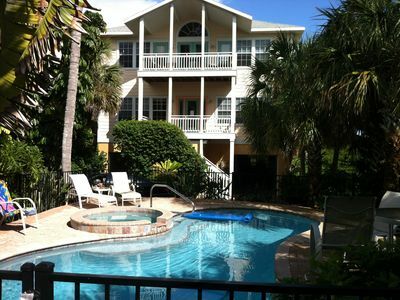 Book today for your time in paradise! 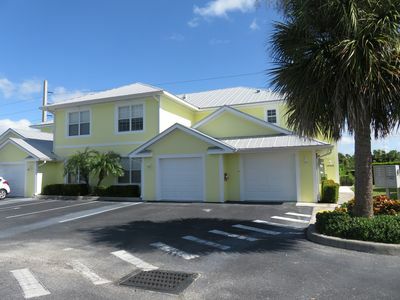 Enjoy Panoramic Gulf Views Just Steps from the Beach! 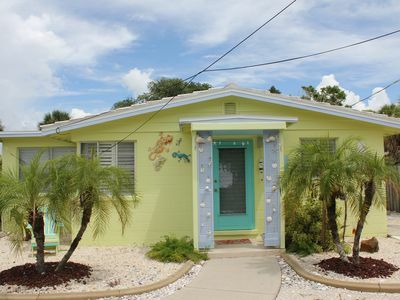 Siesta Home - Tropical Vacation Home close to 4 beaches & historic downtown Venice Island. 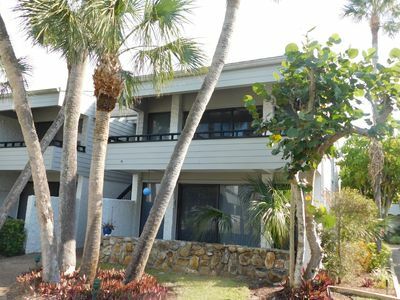 Floridian Beach House in 5 Star Resort "Bay Indies"
Legacy Trail Retreat, Minutes to Beach, Trail, Shopping, with Kayak included!